Last Friday the Dublin South Central Division of An Garda Síochana launched the Garda Youth Awards. 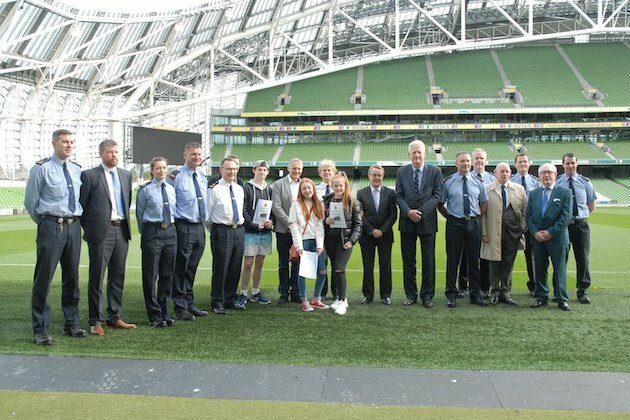 It is an initiative in cooperation between them and Aviva Insurance at the Aviva Stadium. It is a project with its origins dating back to 1995 when a local Garda station in West Cork set up the initiative. This is the first year for the Dublin South Central Division to organize the awards to honour and recognise the volunteering activities of young people aged between 13 and 21 living in the area. The Dublin South Central division covers Kilmainham, Kevin Street, Pearse Street, Irishtown and Donnybrook. (Dublin 2, 4 and 8). There are four categories open for nominations: individual award, group award, community safety award and a special achievement award. The overall theme to nominate a young person or persons for any of the awards is one of positivity: making a positive contribution to the local community, overcoming difficult circumstances, making the community a safer place to live. From Monday 22nd October onwards local Garda will go to local schools, clubs, and community centres and distribute application forms. The applications can also be sent by post to Garda Youth Awards, Pearse Street Garda Station, and Dublin 2. The closing date for nominations in all categories is November the 23rd. The winners will be announced at the official award ceremony in December, also at the Aviva Stadium.